My mother worked at the Landover Mall Garfinkel's from the day it opened in May of 1972. That was the year I graduated high school in Riverdale, MD, and the mall was a big thing then. At that time, Prince George's County had not succumbed to the exurban decay that would plague it as the demographics of the county evolved, and the clientele at Landover Mall was as pleasant as any you could find in the DC area at the time. 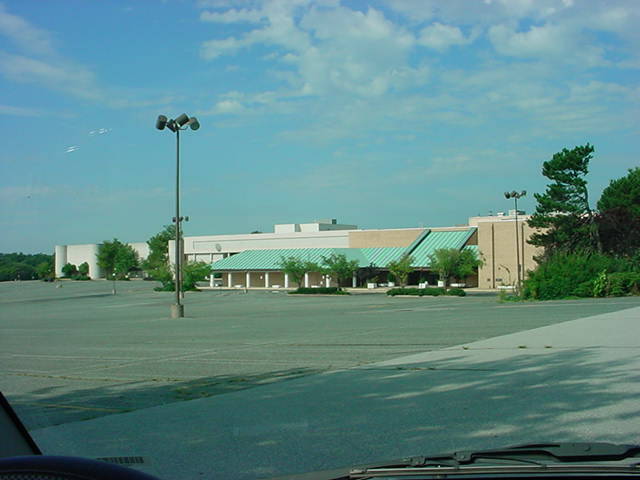 The main reason for the success of Landover Mall was the fact that there was absolutely NO other enclosed shopping mall closer to Southern Maryland. 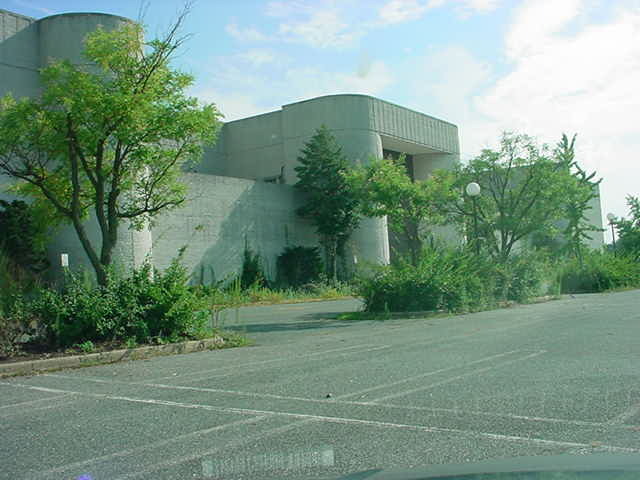 Although Prince George's Plaza, the very first shopping mall in the United States, was located about ten miles away, by the time Landover Mall opened PG Plaza (as it was known) was considered tiny and very dated, and was still an open-air mall. While there were a few malls further south on the Beltway towards the Woodrow Wilson Bridge, again, they were small and aging and not enclosed, and certainly not as hip in the design department as Landover. The closest mall with anywhere near the same cachet-- well, it was actually a bit more hip-- was The Mall In Columbia (Maryland), a substantial trip up Route 29 deep in Howard County. Until the big building boom in Charles County in the 1980's, if you lived down the Rt. 301 corridor and you wanted to go to a shopping mall, Landover was the only place you could make it to without spending an extra hour or two in the car. The gas crisis probably boosted Landover Mall's business, as a lot of people couldn't get the gas to go anywhere else. The fact that the Sears had a gas station attached to it (often with a very long line of cars waiting to get to the pumps) was also a draw. I remember that, when it seemed like no other gas station could get fuel, Sears always seemed to have some. I was pretty confident that when I dropped my mom off to work I could sit in line for a half hour (or more!) and get enough gas to carry us for the next couple of days. I also remember that there was a hill you could glide down toward the pumps, so you didn't have to start your engine when the line moved a little bit, you just coasted. Landover opened right when the middle of the Baby Boom Generation was heading off to college. Our parents tossed us the keys to the car, and quite often we headed to where the garish orange colors impacted our retinas the hardest. I was taking classes at P.G. Community College, which was only a couple of miles down the road, and afterwards would come to the mall to pick up my mom from work. Most days my classes were over sooner than she got off, and I'd get a hot dog at one of the two excellent stands and then head to Orange Julius for a drink. Landover Mall had two Orange Julius's. One other interesting little tidbit is that Landover Mall had the very last surviving Hot Shoppes Junior Restaurant. Most people who grew up in the DC areas in the 1950's and 60's spent some time at Hot Shoppes. They had a great chain of drive-ins, and eventually opened up a McDonald's-like chain of burger stands with the "Junior" moniker. The parent company had merged with Roy Rogers Roast Beef Sandwich restaurants, and there was already a Roy Rogers at the other end of the mall. They didn't want to have two of the same restaurant in the same mall, so they left that Hot Shoppes Junior in place and shipped all the remaining logo-emblazoned stuff to them. In about 1975, a high school friend of mine named Ed Karlander was the manager. Speaking of the Roy Rogers there, I can still remember one of the workers, an older woman with a thick German accent, handing me a tray and trying to say, "Howdy Pardner," as dictated by strict corporate discipline. After lunch I would spend time at Walden Books, where I was first introduced to J.R.R. Tolkien, Richard Farina, and a host of other fine authors. Later, an even more upscale bookstore opened up on the Sears end, but I can't remember its name. It featured lots of really in-vogue books by mind-bending authors. We were so incredibly "with-it" back then. In 1975, I was working at The Wildlife Preserve, an African safari theme park operated by ABC. One day we did a P.R. trip to Landover Mall. The main fountain had been turned off and a small stage built on it, and as the chief wildlife handler talked about the various animals, I or one of the other assistants would bring the animal up on stage. I got to bring up a Llama and a 12-foot python. Later on that same stage, there was a bicycle racing expo there featuring races between riders on "rollers." The riders stayed stationary while their distances were shown on a big clock-like dial with two hands, one for each rider. You could tell the mall was going downhill in the late 1970's, as signs started popping up all over the place saying, "NO $20 BILLS ACCEPTED." Apparently there had been a huge influx of counterfeit bills into the local community, and the mall had been hard-hit. The apartment complex adjacent to the mall had become a vast Section 8 (subsidized housing) cesspit, and the shootings and robberies had become endemic. In 1980, one girl I had dated was carjacked from the parking lot in front of Garfinkel's, kidnapped, and almost raped. As the commercial prospects of the mall faded, the county and even the federal government tried to boost the income base by renting office space in it. The 1980 Census had a lot of people working at Landover Mall (including G. Gordon Liddy's daughter). By the mid 1980's I had stopped shopping there, and one of the last times I went there was as a reporter covering a man with a bomb, who was holding people hostage inside one of the offices. I think that was about 1983. By that time, it had dropped off the radar of most of the respectable shoppers in the area. There was a big, extremely glitzy new mall in Rockville, White Flint (which boasted glass elevators!). It was further away, but at least you ran a far smaller chance of getting shot or carjacked in the parking lot. Since 1973 I had worked at least part time at a bicycle shop not far away from Landover Mall, and I can say for certain that the crime in that area started getting more vicious and prevalent. We had to install a steel door over our front window, as several times thugs smashed stolen pickup trucks through the front of the store, loaded up with bicycles, and took off. The shop eventually moved many miles away. It was a fun mall while it lasted, but its heyday was very short, less than ten years, really. I grew up in Upper Marlboro, MD during the 80's (high school graduating class of 1992 for reference) and Landover Mall was THE mall of the area and the time. Mom would often drag me to the Lane Bryant and Sears locations at the mall. 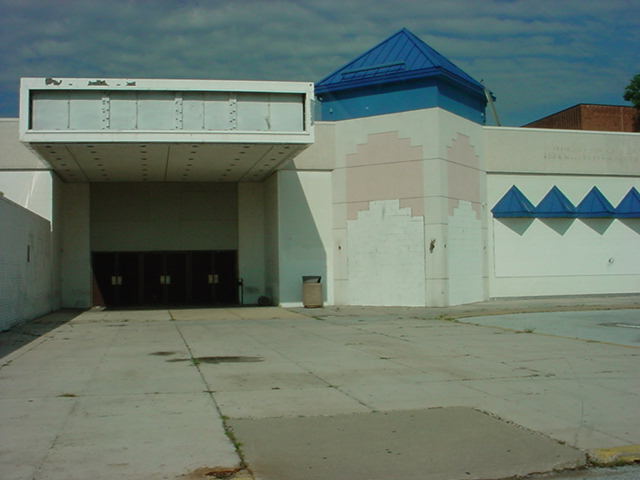 To me, the young kind I was at the time, Landover Mall was a huge, almost magical place and a little scary. In its heyday, Landover Mall housed some interesting fixtures and retailers. My most vivid memory is what I can only dub: The Disco Rubik's Cube. This illuminated oddity was a 25+ foot cube which was suspended from the ceiling in the main mall area in front of Sears and Lane Bryant. As a kid, I was facinated by its ever-flashing, multi-colored, 1-foot wide, light globes which flickered and danced before me and kept me entertained while Mom was trying on new skirts. (Later in life I was puzzled by its sheer existance.) Also in the mall at the time was a Chinese restaurant with an open-pit grill in the middle of the seating area, a movie theater with its own set of escalators (a somehow mind-blowing concept to me as a kid), a really cool video arcade with all the high-tech games of the time and in the middle of the whole mall, beneath a giant, mulit-paned skylight was a magnificent water fountain based on the logo for the mall . As years went on, and I got my driver's license I would frequent the mall, now with a different perspective. Time had taken its toll on the retail landscape of the mall. The aforementioned Chinese restaurant became a Dollar Store (BIG indication the mall was headed for trouble.) The arcade had left and was replaced by some anonymous, insignificant store. What used to be a trendy (for the time) boutique was now a store to buy various hair-weave supplies. The Disco Rubik's Cube ultimately had it's energy-sucking plug pulled, and for awhile thereafter hung darkly and ominously above the sparsly populated mall. Many of the well-known chain stores began to pull out. Eventually all of the anchor stores left and the few business which did remain were Mom-N-Pop stores, a "$10-Dollar Clothing Store" (another sign a mall is headed for disaster) and several empty storefronts. 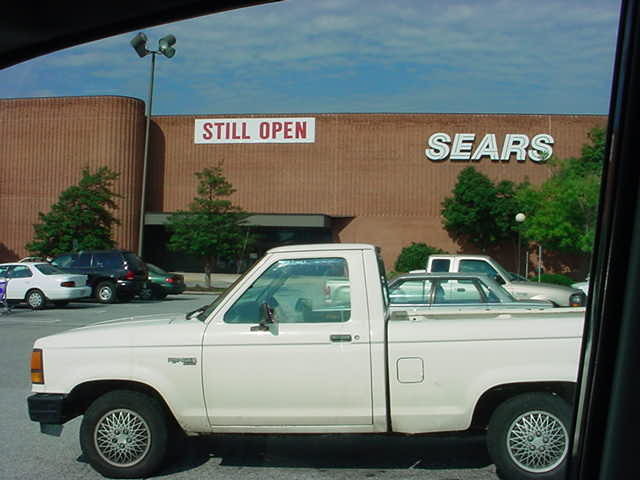 Through it all, Sears remained and when time came for Landover Mall to be Shuttered, Sears simply sealed off its mall entrance, used its exterior entries and remained open for business. And toward the end, the Disco Rubik's cube was removed from the retail wasteland of Landover Mall altogether. I left Maryland in 1997 and moved to San Francisco. A couple years later, when I returned for a family visit, I discovered Landover Mall had been shuttered. 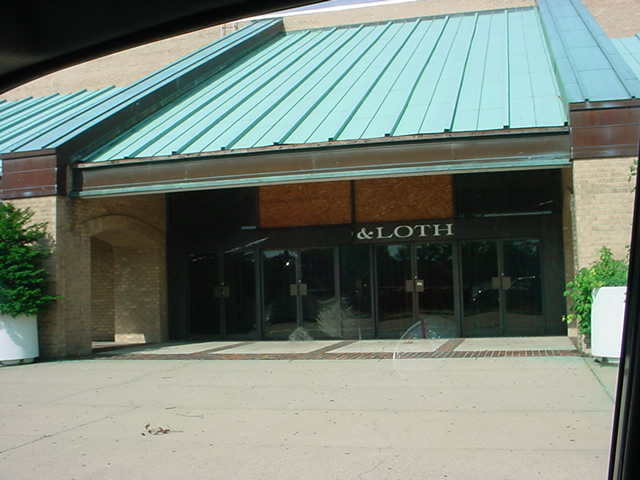 I knew when I left the mall was in bad shape, but I was shocked and saddened that it had actually been closed for good. Seeing the hulking shell of the once-premier shopping mall hit me hard for some reason; much akin to losing a loved-one, for which, inexplicably, Landover Mall was to me. Landover Mall was one of the biggest enclosed malls in the DC area. Located in Landover, Md., it had a at least 4 anchor stores that I can remember. There was the national chain, Sears and then 3 local department stores, Woodworth & Lothrop (Woodies), Hecht's (owned by May Co.) and Garfinckles. There was also a Raleigh's which was another local chain - one could get top quality suits for men and women there. I only remember going there a few times - it was one county over (in Prince George's County) and we had a ton of malls in Montgomery County where I grew up. My main memory of Landover was how dimly lit it appeared. It created a mood, I guess, but I feel it needed more light. The competition in the neighboring counties is part of why the mall failed, I believe. There was always a perception (real and imagined) that crime was higher in P.G. County. In the Washington, DC area, the "feeling" has always been that crime is "higher" inside the Capital Beltway and "lower" outside the Beltway. I don't buy it, but the retailers were scared off from the mall because it was just inside the Beltway. The mall started to go down hill when Woodies and Garfinkles went out of business. I remember that JC Penney took over a lot of the vacant Woodies stores in the area, but I can't recall if they came to Landover or not. But, over the years, as tenants left, new ones didn't fill the space. I remember when the mall was nearing "death" there were local protests held every so often. There was anger from the local community that the chains at Landover carried sub-standard selection than their other locations. The perception was that shoplifting occurred more frequently here, so retailers didn't carry the high end items. Some people who lived or worked near Landover were very loyal to the mall and hated the idea that they needed to go to other malls to get quality merchandise. The community also felt Lerner (the mall owner) was ignoring Landover while focusing only on mall properties in more affluent neighboring counties. In 1997 the Washington Redskins built their new stadium (FedEx Field) across the street from the mall and the mall was used for overflow parking - that was the busiest I remember seeing the parking lot in years! 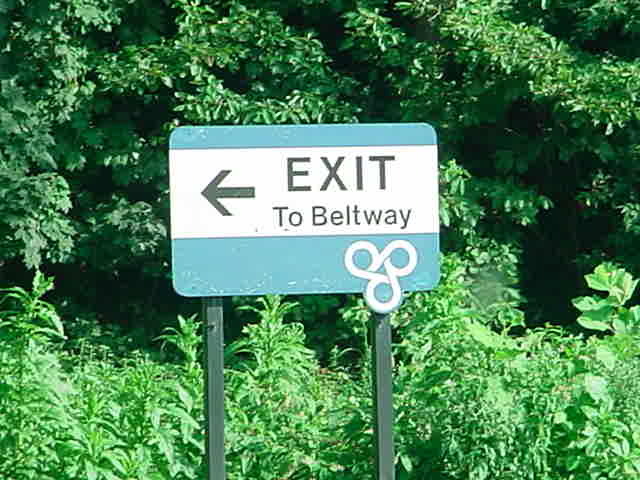 The end came in early 2002 when the Bowie Town Center opened (on the other side of the Beltway) about 15 minutes away. Hecht's had opened a store in Bowie, so they shut down their Landover location. The mall itself is now shuttered (some of the last tenants to leave were "mom & pop" type clothing stores and the Motor Vehicle Administration). While the mall is shuttered, the last anchor, Sears, does remain open. They own their property and even though they too moved to Bowie, they decided to keep the Landover store open. The owner of the property, Lerner, hasn't indicated what they plan to do with the mall. 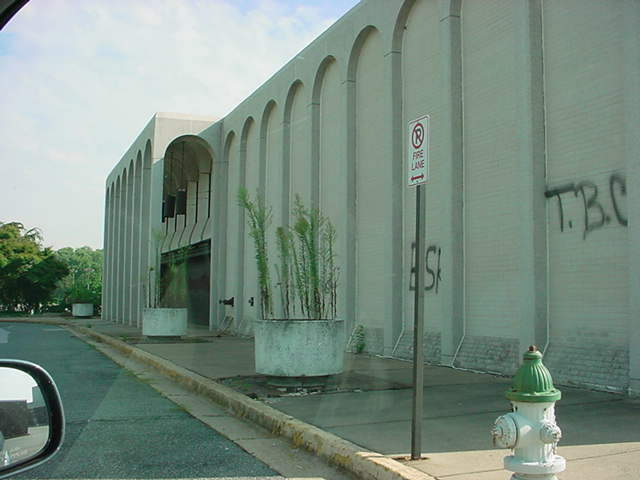 Ironically, if you go to Lerner's website for Landover Mall, http://www.lernerenterprises.com/retail/landover.html, you can see a dark picture from its heyday and find that Lerner is living in a dream world. (the site says, "Opened in 1972, Landover Mall has thrived due to its convenient location in steadily expanding Prince George's County."). I guess they need to update their site!